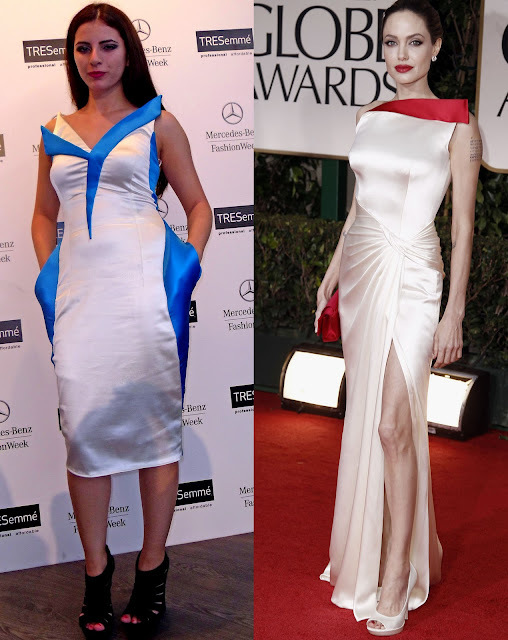 The Style Socialite - A Fashion/Society Blog : Alina Vs. Angelina: Who Wore It Better? Alina Vs. Angelina: Who Wore It Better? Left: The Style Socialite Editor Alina Fayer wearing Chevelish at New York Fashion Week back in September 2011. Right: Movie star Angelina Jolie in Versace at the 2012 Golden Globes.